What do I need to know when listing the spaces available at my venue? 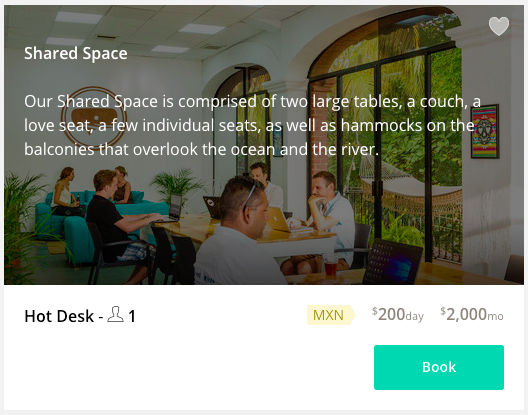 Tailor the name and description for each space type: Rather than "Hot Desk Area 1" you could name the space something descriptive like "Hot Desk with Ocean View". It's also best to make the description specific, rather than copying and pasting the same description for the venue and each space. 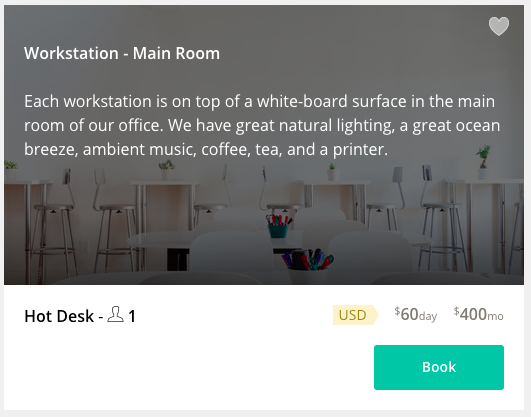 Include at least one hot desk option and one meeting/conference room option in your listing. That is our bare minimum requirement. Do not mention pricing or membership options in the venue or space description: It's best to keep money-talk to the Pricing fields at the bottom of the Spaces & Pricing form. Keep pricing to hourly, daily, and monthly rates. Please do not write anything in the description along the lines of "Special discount if you book for a full week." 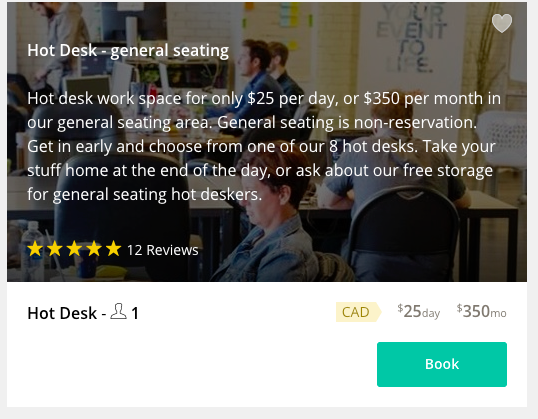 That is not something that can be offered through ShareDesk and may be confusing to clients. Drop-in rates only. Use a photo that actually depicts the space. Make sure the image you upload is a color photograph of the space itself. E.g. not the view from the window or the outside of the building (those can be used as venue images). Nothing sells a space better than a great-quality photo where the client can see exactly what they're getting.